Not for the first time and not for the last, the Velvelettes come at me with a curveball, showing just how very out of (ahead of, even?) the regular Motown loop they really were. Though this one probably makes more sense now than it did at the time, I’m guessing. I’m never normally a fan of the tyranny of genres, the practice of tying things down and fencing them in with musical labels; I think it only serves to distort one’s perceptions, scare people off who might otherwise have enjoyed a record, on the grounds that “oh, I don’t really like (jazz/country/hip hop/soul/metal/rap/whatever)”. For sure, my reasons are personal enough – it’s just that kind of nonsense which stopped me from coming to Motown sooner, a sort of mental category error telling the glum-faced teenage version of me that I shouldn’t be enjoying pop records. But if we were to start boxing things up, well, Since You’ve Been Loving Me is a fine candidate; this isn’t so much soul as it is indie pop. It’s a startling development, not least because it comes strapped to the back of the rollercoaster assembly-line R&B-pop of A Bird In The Hand Is Worth Two In The Bush, and it sounds nothing like the Velvelettes at all. What it sounds like, in fact, is a better-sung take on something like The Ace of Cups – slow, thoughtful, padded with great thudding chunks of bass and plaintive guitar riffs. And, of course, this still being the Velvelettes and all, excellent. Goodness me, how much I love this. I remember the first time I heard it, it sounded like an artefact out of place, a late-Sixties Californian garage rock ballad feel to it when I was expecting more of the thumping and sweeping and eerie brilliance of the best Velvelettes sides; even now, several hundred plays later, it still exudes a strange feeling, like an interloper. 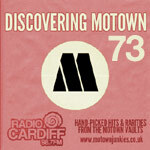 In a few years’ time, when we get to the late Sixties and early Seventies and the rise of side projects like Rare Earth Records, MoWest etc., we’ll have to interrupt the Motown R&B story for a pop-rock diversion on a fairly regular basis – but here at the end of 1965, with the third-rate country & western horrors of the ill-fated and ill-conceived Mel-o-dy Records project now far behind us, it still feels thrillingly odd to find something new and unexpected in Motown’s archaeological strata. …And here’s Cal Gill, again showing why she was Motown’s least-heralded should-have-been superstar. Absolutely solo for the first part of the record, exposed in the rivulets of dead air that criss-cross the tape between tambourine bashes and vibraphone pling-plongs and that fat-fingered monster bassline, she still ends up turning in an amazing lead vocal that calls to mind Chrissie Hynde and even Cher as much as it does Martha Reeves. Meanwhile the other Velvelettes are used very sparingly, hardly appearing until the song bursts into full colour. … and Cal extemporises over the top in the finest Velvelettes fashion, and just for a moment, the whole thing crystallises and you realise the hairs on your skin have pricked up and this is just special, very very special. On the full-length version of the track, as featured many years later on the Velvelettes’ belated Motown Anthology album, this is the thrilling jumping-off point for a driving, valedictory final minute, clearly unfinished but triumphant all the same, underlining the underlying theme of the song – Cal’s narrator was a wreck who didn’t believe in love, but now you just try and stop her. Here, on this 45, the song’s been hacked down to an edit of just over two minutes, meaning the track starts a brutal fade just after Cal’s got started, turning that valedictory mid-song change into a last-minute coda. It’s a tidier and smarter mix than the full length take, which obviously wasn’t ready for release – but it’s surely not what its creators intended, breaking the pacing of the song (musically and emotionally), and meaning it can’t realistically (for me!) claim the one extra mark which would take it into my all-time favourites. But it’s still remarkable, in almost every sense – it’s both surprising and surprisingly fresh, it’s raw and honest and beautiful, and I love it. And it’s the Velvelettes, so, you know, come on. Anyway. Several more new entries – and great records! – lined up for the coming weeks, so stay tuned! It never ceases to amaze me how the brilliance of the Motown producers (in this case Norman Whitfield), the arrangers (not mentioned on this disc) and performers (in this case the wonderful Velvelettes) can turn a relatively simply constructed song, both melodically and lyrically into a soulful masterpiece. The orchestral build is magnificent and the lead vocal puts the lyric across with feeling and drama. Whitfield certainly knew how to put the right combination together to achieve near perfection. To sum up in two words, bloody marvelous. Don’t forget the songwriters, the brilliant Eddie Holland and the equally brilliant Marv Johnson. This masterpiece never would have been brought into existence without them. P. S. I can’t wait to read your review for “Don’t Mess With Bill”! I only heard this song for this first time maybe four months ago, while I was at work. For the first minute and a half, I wasn’t expecting this song to be much more than a forgettable throwaway, given the simple ’50’s chord progression and sparse arrangement. But then that D minor chord appears for the first time at the end of the bridge, followed by a magical shift into a higher gear, thanks to that hypnotic chant to that four-to-the-bar drum beat. What a powerful moment! All I wanted to do was jump up and dance or sing or whatever along with music, I was so moved. Needless to say, I had a much better day at work after that! Easily one of my favorite Motown “moments” so far. After repeatedly going back to the song to experience that moment, this song has become not only quite the earworm, but also one of my new favorite songs. Maybe not a masterpiece of (or even a terribly interesting) composition by late-’65 Motown standards, but a masterpiece of arrangement and another brilliant performance by the Velvelettes. This one has got to be a 10 for me, and a lesson in never underestimating the power of simplicity in music. Steve, it’s such a joy to read you in the full flood of inspiration – it’s almost a parallel experience to listening to the song itself – and of course, my listening to this song will never be the same. Criticism becomes art. And Seacow, this classical composer wants to intone a fervent Amen to the final sentence of your fine post. 6 seems about right for me. This is a nice. well-constructed song, with an average instrumental and it is sung well. It’s just not as good as many others that would get 7, 8 or 9. I haven’t heard the full length version. I must dig that out! (ADVERTISEMENT) I actually played it on my radio show a few weeks back…! I love the sax on the extended version. I heard this version for the first time on the excellent Velvelettes Anthology so for me, the single version just isn’t long enough. I agree with 9 for the single version but a 10 for the CD version. most certainly a-side material. The girls can’t do any wrong!